The sophomore project proposals have come and gone, and I'm still basking in the afterglow of these amazing students. I'm trying to process everything that has happened, and I think I'll be processing for months yet to come, but it's hit the point I need to get my thoughts out of my head. As soon as a major event is finished, I'm usually immediately thinking about all the things I want to do differently to make it better for next year. And while I do have a long list of tweaks and changes for next year, I am forcing myself to stay in the present and soak in all the incredible, powerful and purposeful fruits of these young men and women's labors. With the support of incredible groups like the FFE, District 145's Board of Education and the WHS administration team, along with the help of awesome faculty that supported and guided this project, we were able to capture lightning in a bottle. Students were given the platform, opportunity and means to exercise their power to affect positive change in our community, and they blew us away. I was proud of my students in the way that a teacher is proud of students--they clearly grasped the content and displayed growth and mastery. But that pride was overshadowed by a different kind of pride that I can only describe as "Papa Pride". It was the same kind of pride that welled up in my heart when my son got over his shyness to make friends with the little boy on his preschool route. It's the same sense of pride when my boys go out of their way to show compassion for each other without being told to. When these students--my students--got up in front of a panel of adults--half of them strangers--overcame their stagefright and laid out a problem that they truly cared about and shared how they could improve the situation for others, I welled with Papa Pride. They were invested in these projects. They cared about the outcome. They wanted to follow through to the end. And that's the sort of thing I have experienced--very rarely--in small pockets over the last nine years, but never systematically across every class. If there is one take away that I hope every student leaves my class with after this unit, (heck, after this entire year!) it's that they have a voice, and they have every right to use it to affect change. They have power and authority to be active, contributing members of their society, and they don't need anyone's permission to use that power. What have you learned about affecting change? About being an active, contributing member of society? *I have a voice and influence to make change in the school, which I always assumed I would never have since I am a student. *Change is important, and putting a voice on your idea and taking action in your beliefs for the benefit of others is even more important. *I have learned that it feels good to be able to make an impact to our school and being involved with meetings and contacting people. Once we had everything laid out I enjoyed having active conversations with other teachers of our change that we want to make. *I learned from my group and other groups that if you really want to change your school or community you can do it and it's easier than you think. *Change takes time. But voices have to be heard to have change. *I have learned that today’s youth had the same right to voice their opinions as adults do. Even though we are not superior, it is still beneficial for everyone’s thoughts to be heard. *That people that work within the district actually do care about what we have to say and will do what they can to help us. *I learned that we can change the world by speaking up about things that need to be changed and that the world is ours to make better for the next generation. There are more things in life that need to get noticed besides just our everyday problems that we tend to think are bad. *You always need to be questioning your surroundings otherwise you won't move anywhere. *It takes a lot of work to contribute to something big like policy change. Rejection exists, so I can't get upset if something doesn't go my way. By working and collaborating with other people, I have to be open to different ideas and different forms of the way I want to do things. *I have learned that if there is something you are truly passionate about you can make a difference with it. You need to possess the drive to move it forward as well. When you succeed with the project you have poured your heart and soul into, it's very rewarding. *That you should always be a part of the community. *That you actually have to go out there and do something not just for yourself, but your partners, and the community. *​I learned that anybody can change the world no matter who they are as long as he/she clearly states the problem and what needs to change to make it better. Is there anything else you would like me to know about this project, the process, or experience in general? *Really emphasize to the students that this project is a chance to get yourself into something greater for the community. *It was an amazing experince. *The process was more complex than people would think. 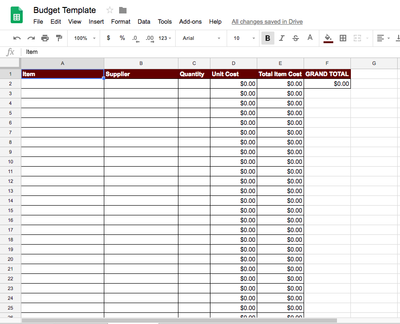 There's a lot more to figuring out how much things cost and how to do them. *I feel like this was a very productive project because students get to give their input on ways they think that this school could be better. If you keep doing this each year after even a few years a LOT of problems I feel will be resolved. Also over all the school will have a better environment. ​*It let me take a chance on something I want to change in the school. I really like this unit and I hope you continue with this project. *It was pretty freakin awesome. 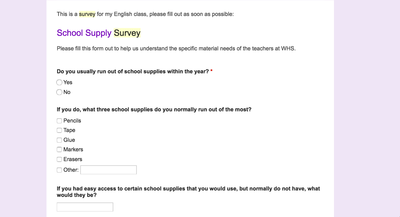 *I think it was a good way to show students ideas and gave great opportunity to improve WHS. *I think it was a very good idea for students to become active in helping our school in a way they believe. *this project really helped my learn more about myself like i can actually do things to help and that if i speak up people will listen and think about what i sead. this project helped me learn that i can talk to people and i dont have to be shy all the time. 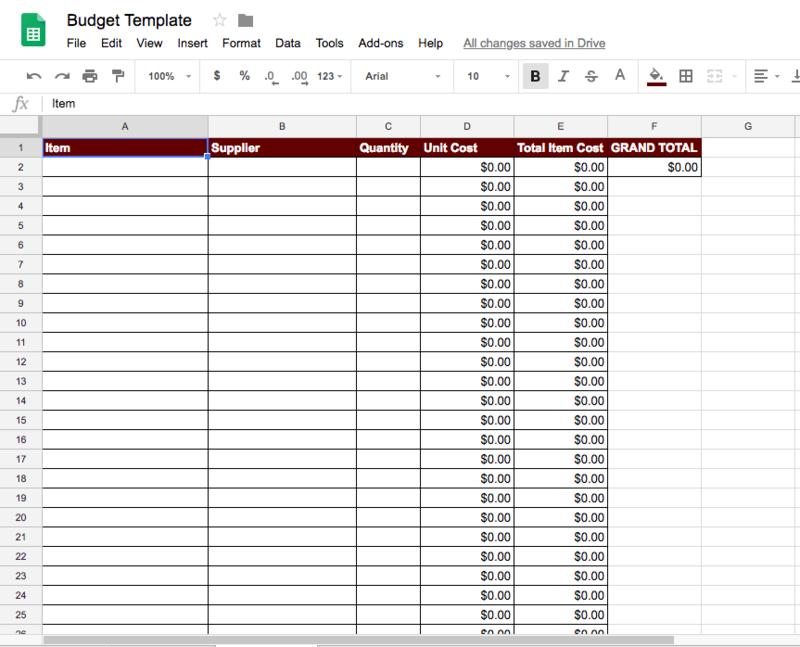 PBL Update: Why Statements & Drones & Budgets, Oh My! 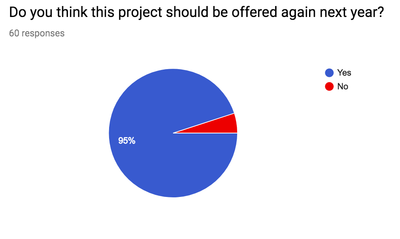 Things are coming down to the nitty-gritty with our Persuasive PBL project in English 10! The students are just over a week away from presenting to our adult panel their answer to the driving question: "How do we make WHS a better community?" It's been fun working with students on these projects that are pretty atypical for the English classroom. I've been able to engage students in conversations about automotive classes, career-exploration opportunities, facility updates, schedule changes, and landscaping. (This also offered me the opportunity to bust out the WHS Drone to get aerial footage of the grounds for our garden groups!) 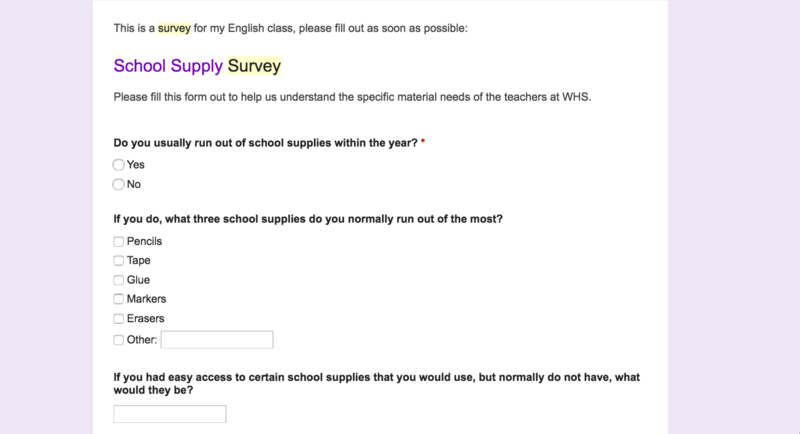 Students are generating online surveys, conducting interviews with students, teachers, and administrators, and they're calling companies and businesses to compare pricing and ask about donations and discounts. 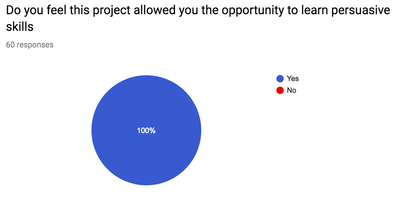 Both the students and I have had several powerful learning moments where individuals or groups of students realized that the original project idea they had isn't feasible and had to change what they were doing while still honoring the reason behind why they wanted to address the issue in the first place. We went back to their original "why statements" to help guide us into finding an alternative solution to the problem. This has caused students to dig deeper beyond merely complaining about something that could be better and realizing that improving that status quo isn't always as easy as it first seems. 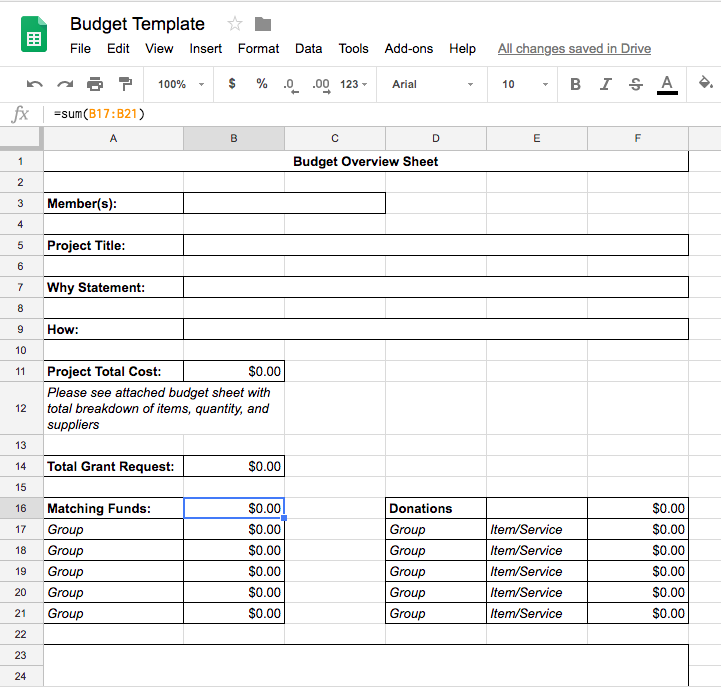 As I showed each class how to fill out the spreadsheet, they were able to see how quickly money adds up when trying to fund a project. 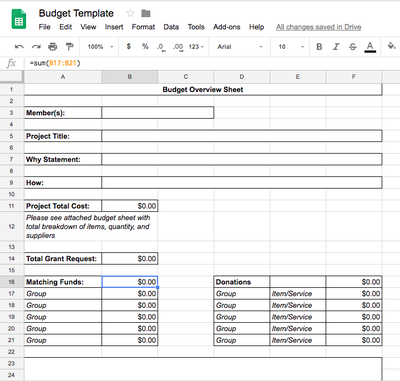 For the projects requiring funding, this is forcing the students to use some critical thinking to figure out if they actually need everything they are asking for, look for alternative solutions to meet the need, and also look into alternative means of getting everything they need, like asking for donations or pairing up with other clubs, groups, or businesses. This week, students will finalize the logistical details of carrying out their project should they be "greenlit", finishing and practicing their presentations, and completing any visual aides or handouts that will help the panel make a final decision. After an intense bout of last-minute inspiration, I decided to change up my traditional Sophomore English Persuasive Unit. This year, I'm dipping my toes in the Project-Based Learning (PBL) pool and attempting to offer students a more powerful hands-on learning opportunity. I learned that PBL units all have a "driving question" that guides the unit, and the driving question for this PBL unit is: How can we make the WHS community better? This is actually very similar to an old NeSA writing prompt we used to use to teach persuasive writing back in the (dreaded) days of NeSA, but the Aristotelian flaw in the NeSA prompt was that it was a dead-end, go-nowhere-beyond-the-teacher's-desk kind of prompt. Every student has multiple opinions about how we could make school better, but if the only person hearing that message is the teacher, and there's no built-in opportunity to actually do anything about it, then what's the point? Therein lies the beauty of PBL. I was graciously awarded at $2000 FFE grant and the blessing of administration to allow students who present the best answer to the guiding question to use the grant money to actually enact their project idea. 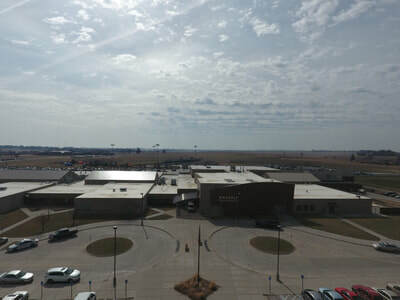 Topics range from adding new classes, changing schedules, modifying A&P, getting supplies and equipment for various programs, beautifying the campus, composting, and even a community garden. Students will present these projects to a panel of teachers, administrators, FFE Board members, and representatives from the Board of Education. During class time, I am teaching them the basics of persuasive writing and speaking skills, but a bulk of the time is wide open for students to collaborate, meet with teachers, coaches, and administrators, call businesses for quotes, and ask questions and get guidance as they need. In the few short days we've worked on this unit, I can already tell the level of student buy-in is much deeper than it has ever been before. 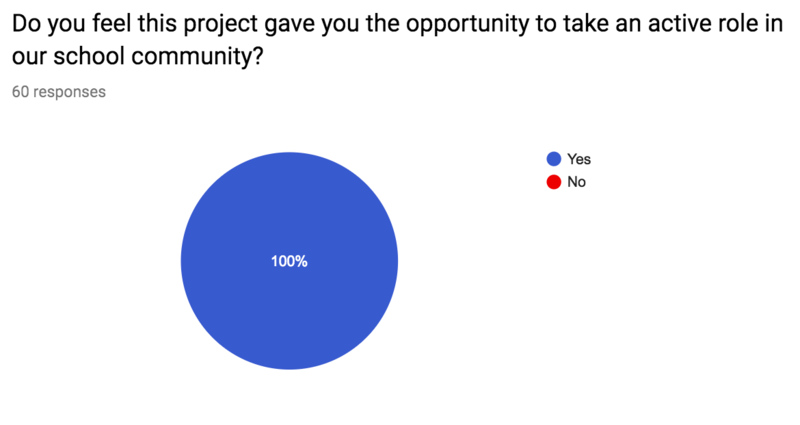 Each student is getting a fair and equal shot at positively impacting our community, getting the time and resources to make it happen, and the persuasive skills to convince the panel to green-light their project. I look forward to seeing how this unit shakes out and to see how our students shape our community into a better version of itself. With any luck, this is a PBL Unit we will be able to do every year. Blake Tobey has taught at Waverly High School since 2009 as well as directed and advised student publications since 2012. Tobey's earlier posts are archived here. All thoughts are his own and do not necessarily reflect that of Waverly High School or District 145.